This 150+ page Word Sorts for 1st Grade bundle is packed full of engaging and interactive First Grade word sort activities, while providing a great value. Focusing on short and long vowels, inflectional endings, digraphs, L Blends, R Blends, Soft & Hard C, Soft & Hard G.CCSS.ELA-LITERACY.RF. 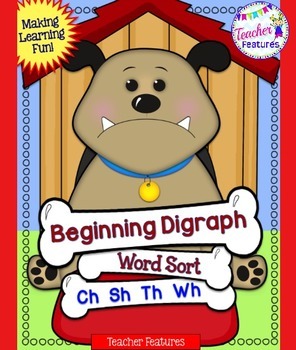 This Beginning Digraph Word Sort has a super cute bulldog theme with 28 words to sort. This is a perfect hands-on word work center! 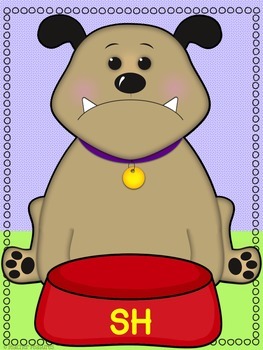 Your students will enjoy placing the bone cards in the matching dog dishes. 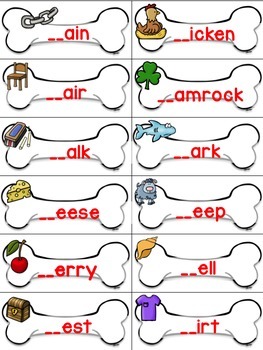 The correct digraph must be chosen to match the picture on the card.